Dunwoody CPA firm specializes in tax, estate,& retirement planning, financial statements, tax preparation, business consulting and other accounting services. Dunwoody firm offering tax, consulting, accounting and bookkeeping services. Includes financial calculators, description of services, and newsletter. Atlanta (Dunwoody) firm. Includes company profile, staff biographies, links, and service-bureau-supplied newsletter, financial tools, and calculators. Dunwoody shop delivering classic and contemporary floral arrangements, plants and gifts to the Atlanta metro area. Includes wire service transfer and lists staff credentials. Dunwoody florist shop delivering classic and contemporary floral arrangements, plants and gifts to the Atlanta metro area. Includes wire service transfer and lists staff credentials. Offers calendar, advancement information, images and contacts. Offers calendar, advancement information, images, and contacts. Offers trip journals, resources, ceremonies, and an image gallery. Offers trip journals, resources, ceremonies, advancement information, and image gallery. Acupuncture, Chinese herbal medicine, homeopathy, nutrition, and computerized BioSET allergy elimination. Dunwoody, Georgia. Atlanta based hospital site providing news, program, service, and doctor information. Searchable healthcare database, USP Drug Guide and the online Healthy Living series are also available. Dunwoody, GA, in the metro Atlanta area. Ministries, text and audio sermons, calendar and information on worship. A Christ-centered, Bible-based, Christian family ministry located in Dunwoody, Georgia. 16 Atlanta Vineyard Christian Fellowship Dunwoody, Georgia. Dunwoody, Georgia. (Association of Vineyard Churches) They are one of hundreds of Vineyards around the world who share common values, priorities, and goals. True story of what happened in Liverpool, England during the years 1861-1865. In memory of Commander James Dunwoody Bulloch CSN, the man responsible for the Florida, Alabama, and the Shenandoah, plus a host of other vessels. Offering ballet, tap, and jazz lessons. Home of the Atlanta Jazz Theatre Dance Company with locations in Marietta and Dunwoody. japanese embroidery, embroidery supplies, silks, metallics, metallic thread, beads, koma, needlework, couching, beads, beading, beadwork, silk and metal thread embroidery and information about japanese arts, located in dunwoody, georgia. SiteBook Dunwoody City Portrait of Dunwoody in Georgia. 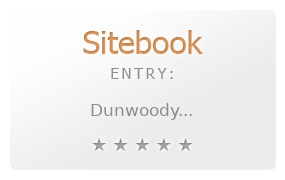 This Topic site Dunwoody got a rating of 4 SiteBook.org Points according to the views of this profile site.